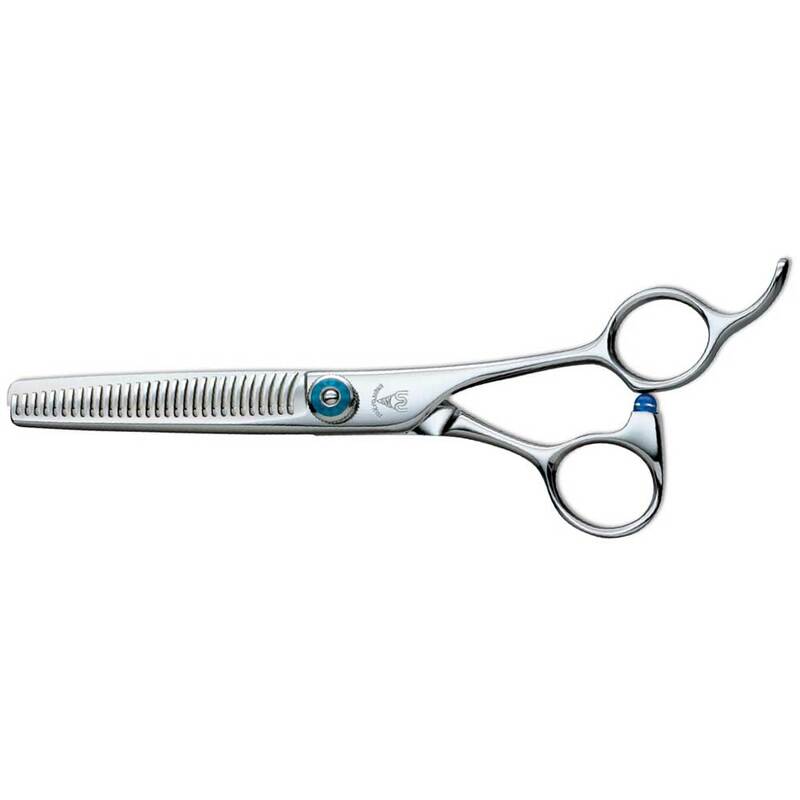 This is 6.0" thinning shear with flat tip thinning blades, can be used widely from beginners to professional stylists. 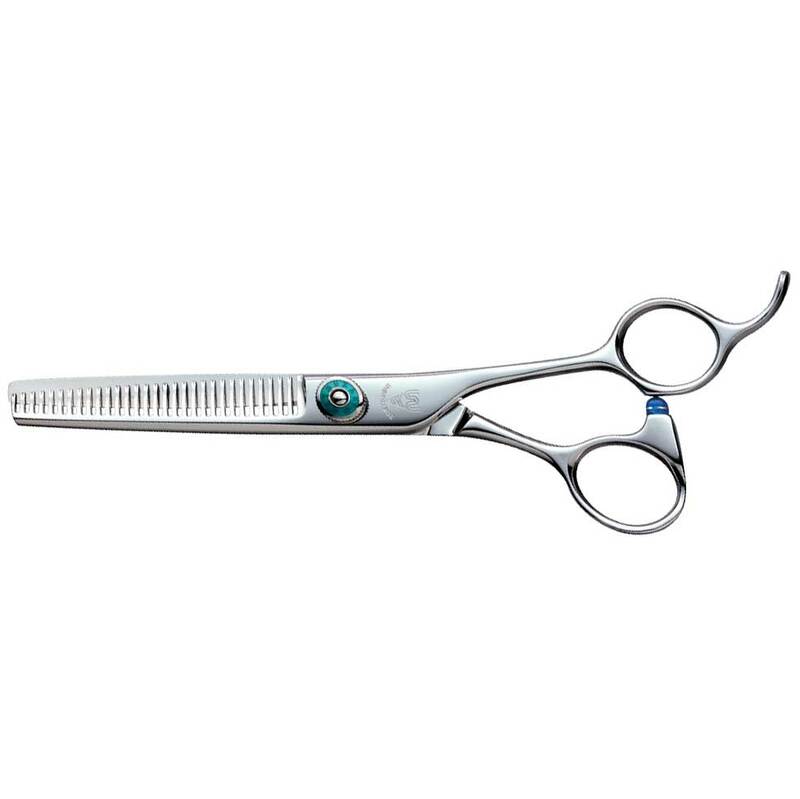 This thinning shear can be used in reverse mainly for the adjustment of hair volume or even adjustment of hair tip style, with an ideal cutting ratio of 35%. This model has a thinning blade which is 6.0" long with 30 teeth, it has excellent stability. The most practical cutting ratio is 30 %, but can be used for all types of cutting. A reverse type thinning scissors with 30 curved U-groove shaped teeth. When using it a smooth sensation can be felt. Practical cutting ratio of 30%. 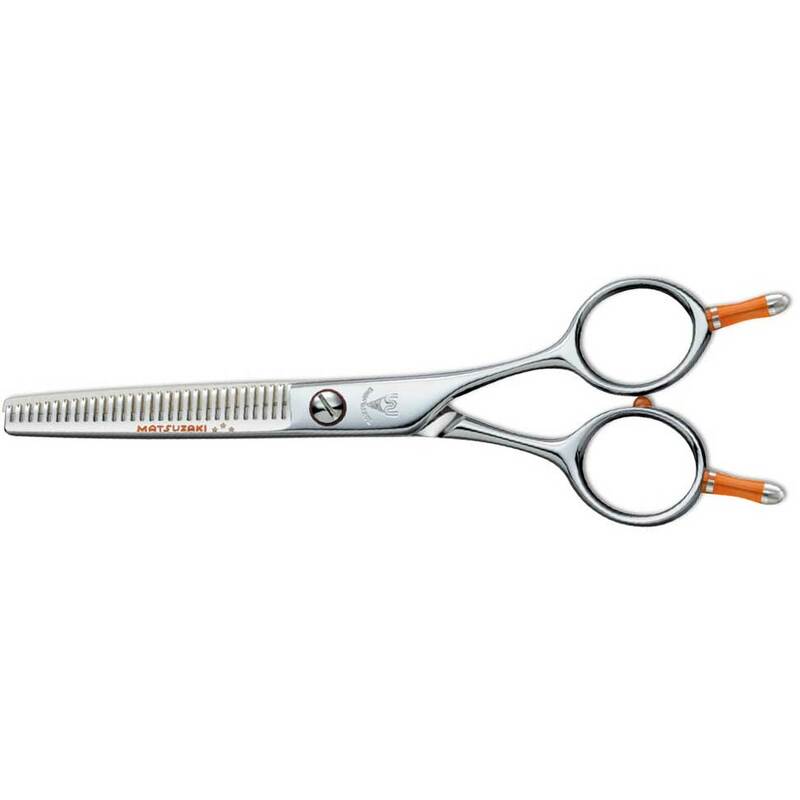 Strong point of stability and powerful, highly recommend as your main thinning scissor.